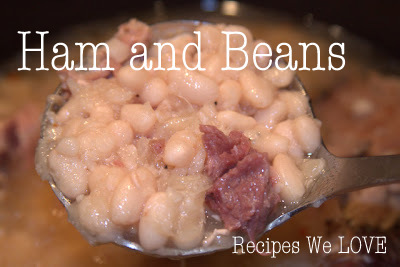 Beans are super cheap and easy. They can be a meal or a side, or added to soups or sauces. 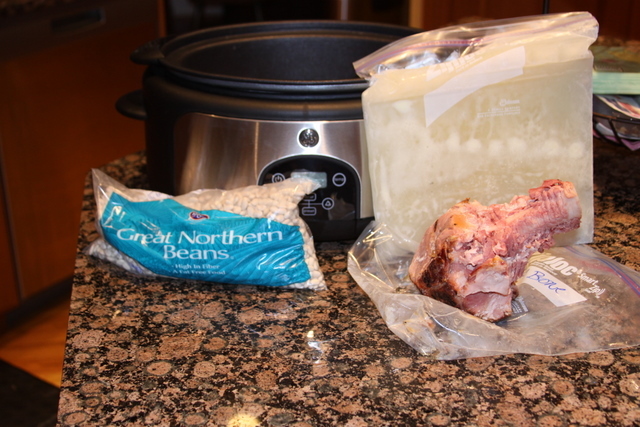 For this I use chicken broth I have made and froze and old ham bone from cooking a ham also stored in the freezer. So this Meal or side dish costs me less than $1, great for the budget. 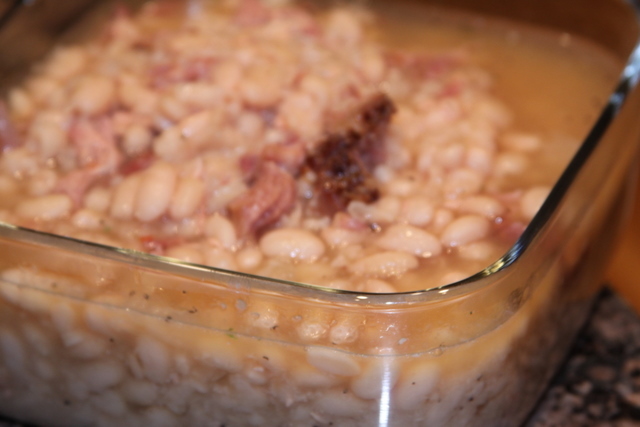 Cover the bottom of your crockpot with dry white beans, or you can soak over night either way will work (or any dry beans). 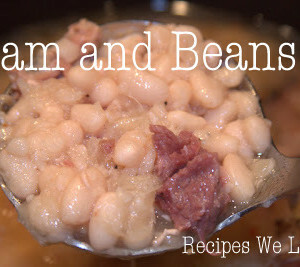 Put 1/2 water and 1/2 chicken broth or veggie broth about 2-3 inches above the beans. Add a ham hock if you have one or diced up ham. Cook on high 4-5 hours Low 6-8 hours. Once about done cooking or once it is done add garlic, salt, pepper and red pepper flakes to your taste. DON'T salt till they are cooked or they will not get as soft.